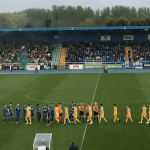 Waterford FC welcome second-placed Cork City to the RSC this Friday looking for a return to winning ways after defeat last weekend in Limerick. It’s the final league meeting between the sides this season with the Blues having won 2-1 in the previous league meeting at the RSC this season. Alan Reynolds’ side saw an early spot kick saved last weekend in Limerick before Billy Dennehy gave the home side the half-time lead. 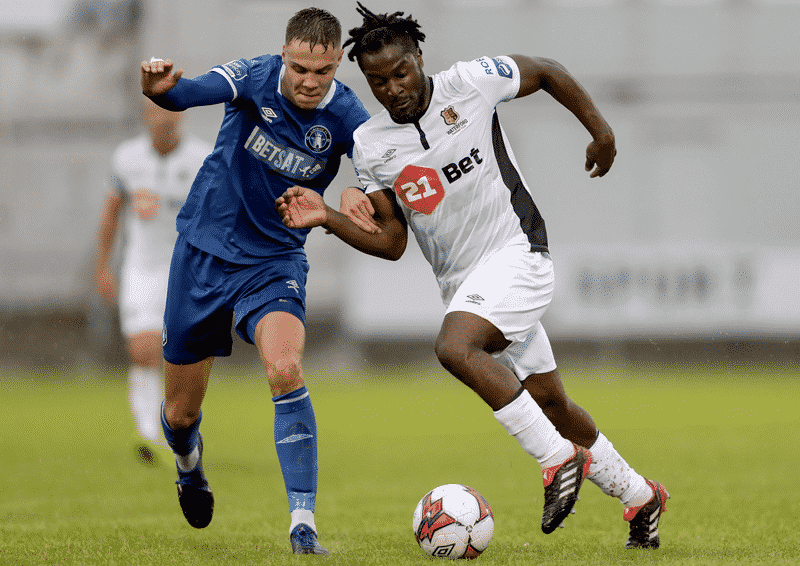 A sweeping move and an excellent Bastien Hery finish had the Blues level but Shane Duggan’s long-range strike secured the points for Limerick. 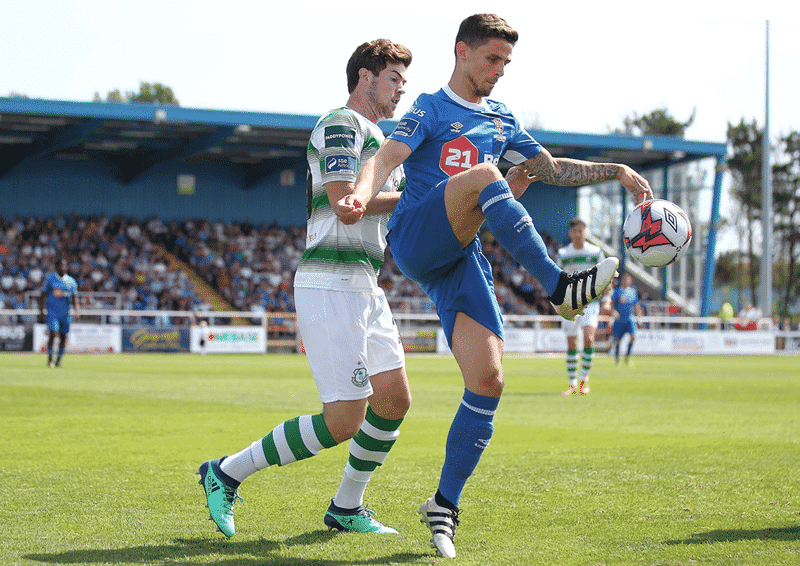 The Blues came out of top of Cork City’s earlier league meeting in the RSC. 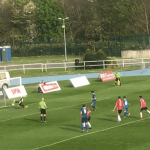 Conor McCarthy gave the visitors the lead but an own goal from Conor McCormack and a header from Courtney Duffus ensured a 2-1 win for the Blues. last week in Limerick, but says they’re sticking together and looking to get back to winning ways with a run of games ahead. “Their keeper saved from the early penalty and we could have been a few goals in front in the first half, but found ourselves behind,” Reynolds said of last week’s defeat. “Second half we scored a great goal and I thought we’d push on from there but credit to Limerick they took their chance. The coaching staff are disappointed and the players are disappointed. “We know what we have to do to put right the run we’re on and we’re looking to do that. The players aren’t shying away from the results and they’re working as hard as ever in training. TEAM NEWS: John Martin returns from an ankle injury while David Webster is suspended. Paul Keegan (calf) and Derek Daly (groin) are doubts, Cory Galvin misses the game with a knee injury, while Renars Rode is awaiting international clearance.